Our eyes may need these sensors. Our future wearable devices /smart phones may have these vision modes. Possibly Google glass may have one of these in the near future. Without a slow motion replay, cricket match or a football game not enjoyable. Our eyes can't register swift movements. To be precise, a movement or an action occur less than 20 milli seconds are hardly noticed by our eyes. Time warp TV show and SLOW-MO guys of YouTube are exploiting this very thing in a maximum ways. There are powerful cameras and smart phones that can take ultra slow motion videos today. We've seen in ghost Hunters TV show or Hollywood movies like paranormal activity. It's shows the desired visuals as Heat signatures. We've seen this in many Hollywood movies like hollow man. Thermal vision gadgets used in military to monitor cross border activities. Superman can see through the solid objects in comics. Now we have that power too. Airports have X-ray scanner devices. There are cameras in the market claiming that they have X-ray vision. 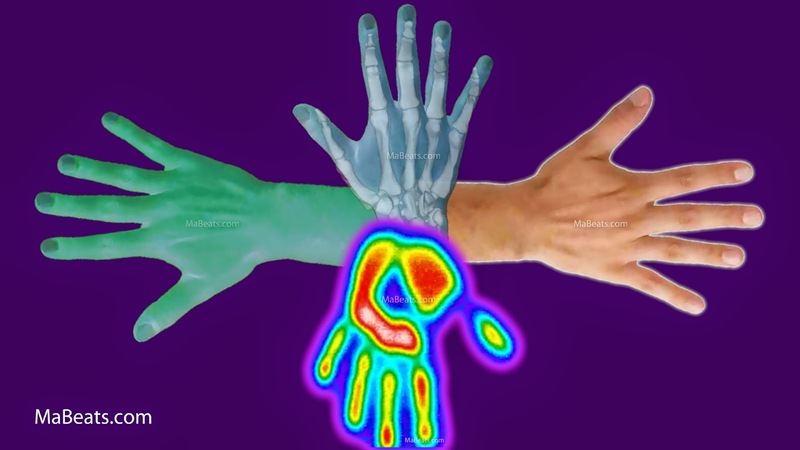 Doctors can use X-ray vision gadgets instead the X-ray machines for better diagnosis. There is a rumor, in 1998, Sony accidentally sold 700,000 camcorders that capable of see through people's clothes.